Category: Books, Self Help & Personal Development Tags: inspiration, Motivation, personal development, prayers, self-help. ‘A vastly inspiring yet completely practical approach to life – and to making your desires a reality!’ – Sandra Anne Taylor, New York Times bestselling author of Quantum Success Do you keep asking, but worry that your prayers are going unanswered? Can you trust your gut feeling to guide you, when so far you’ve had trouble reaching many of your goals? When Mariana Cooper hit up against the frustrations and heartbreak of dashed dreams, loss of loved ones and the complications that real life brings, she set out on a quest to discover the language in which we actually receive the answers to our desires. What she found is the Energetic Communication System that delivers the answers to our prayers – she calls it the Aha! Factor. In this eye-opening book Mariana shares: * How to access your Aha! 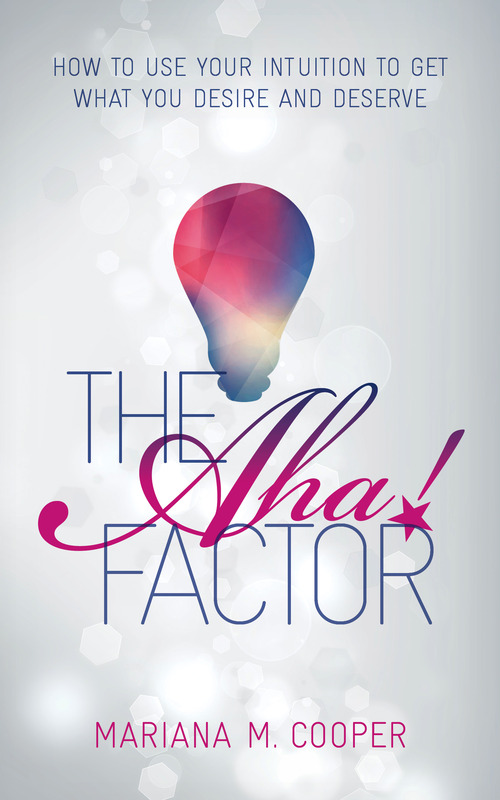 Factor to receive and interpret the answers to your prayers and intentions * What an Aha! Moment actually is and how to have more of them throughout your day to help you make the best possible choices * How to incorporate your Aha! Factor easily into all aspects of your life, including money, love, career, health, handling toxic people and bringing your biggest dreams to fruition much more quickly than you could ever do with logic alon.